Two visiting female fire academics recognised in the list of ‘Women Leaders in Fire Science’ were also part of the group - Associate Professor Crystal Kolden, a pyrogeographer from the University of Idaho in the US who studies fire disasters and fire management, and Dr Christine Eriksen, a feminist geographer with expertise in wildfire and gender from the University of Wollongong. Pictured: Four of the women recognised internationally as leaders in fire science . 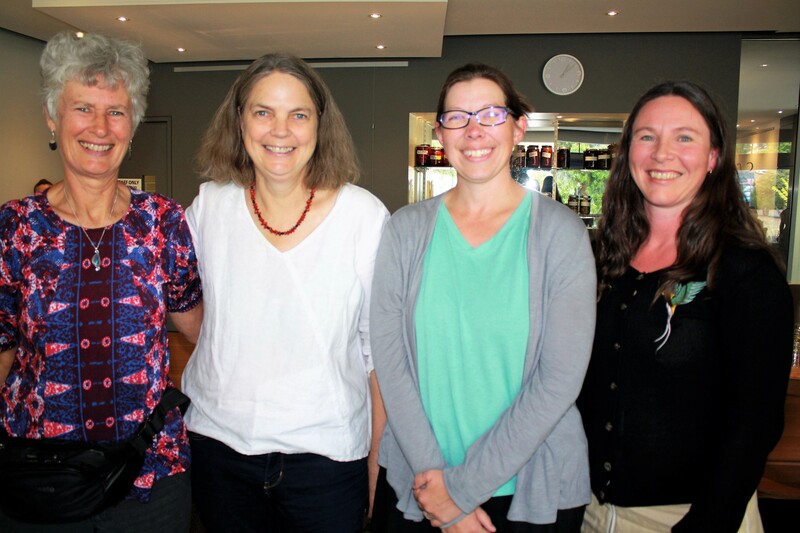 . . Dr Lynda Prior and Associate Professor Fay Johnston, both from the University of Tasmania, with visiting academics Associate Professor Crystal Kolden of the University of Idaho and Dr Christine Eriksen from the University of Wollongong.